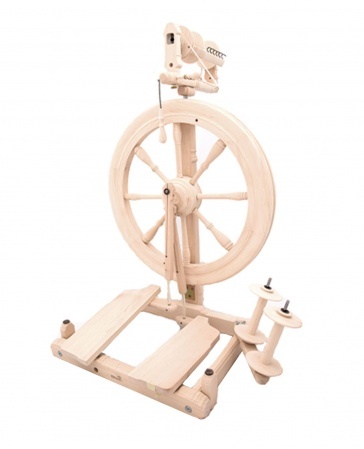 The Sonata is a full-size spinning wheel that folds and packs away, making it perfect for travelling or if you're just a little short on space. 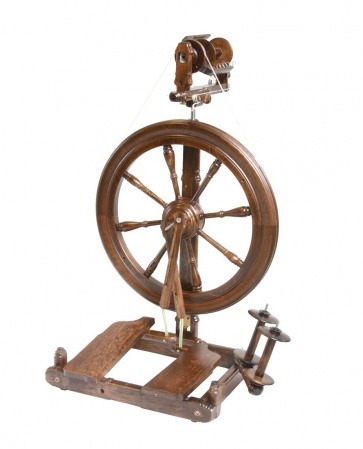 All parts are made form solid timber turned and moulded to give the classic look, while the double treadle action makes it easy to use with either one or both feet. The positioning of the flyer is at normal working height and of conventional design, while being fully supported at each end so there is no possibility of accidental damage. This design also allows the quick change to a jumbo flyer which is available as an optional extra, together with t high speed flyer. The specially designed carry bag makes transportation easy, taking just 5mins to pack away. Once folded away the bag gives you the option to carry it by hand or as backpack. 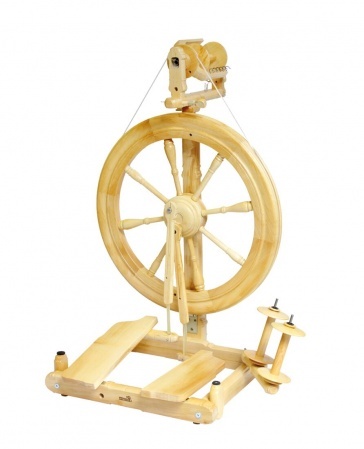 This is one of the very few folding wheels that when in use looks like a normal wheel. 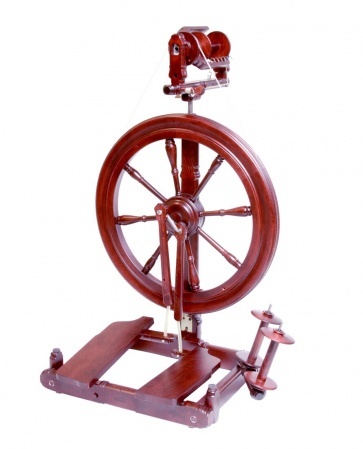 For those who want portability with traditional wheel design this is the one to have.